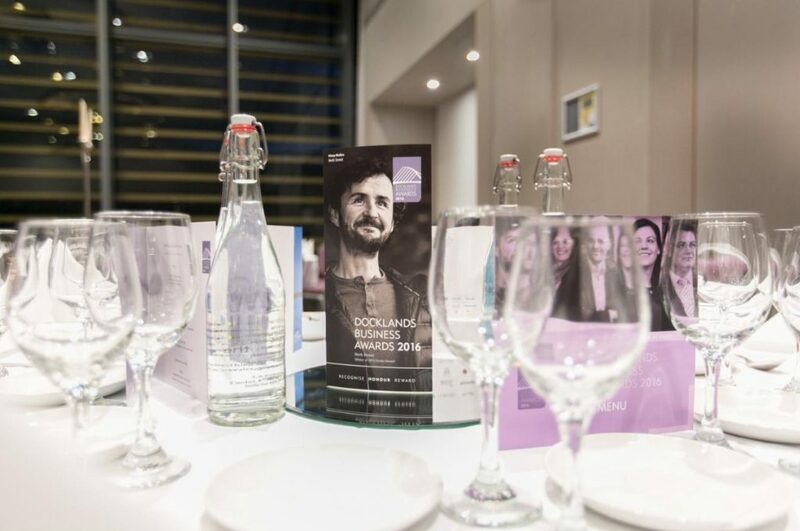 Celebration and optimism were evident at The Gibson Hotel in Point Village when ten companies were recognised and honoured on November 24th in this year’s (the sixth) Docklands Business Awards, and where the next phase of development of Dublin Docklands was anticipated with enthusiasm. In front of a full to capacity audience, as well as Regina Doherty TD, Minister of State at the Department of the Taoiseach and Government Chief Whip, companies from different industries, at different stages and of different scale received awards that highlight the diverse enterprise that continues to support and motivate the development of Dublin Docklands. Among the winners were worldwide accommodation firm AirBnB, Irish accountancy firm KPMG, new museum Epic Ireland, the Brasserie at The Marker Hotel and start-up Hiri who won awards in the Exporter of Goods or Services, Responsible Business, Innovator, Foodie and Start Up categories. True to its ethos of motivating co-operation between business and public and voluntary agencies, the organisers included also a category for Public Service that was won by CoderDojo for its success in motivating volunteerism in the Docklands tech sector and in inspiring local children to learn to code. 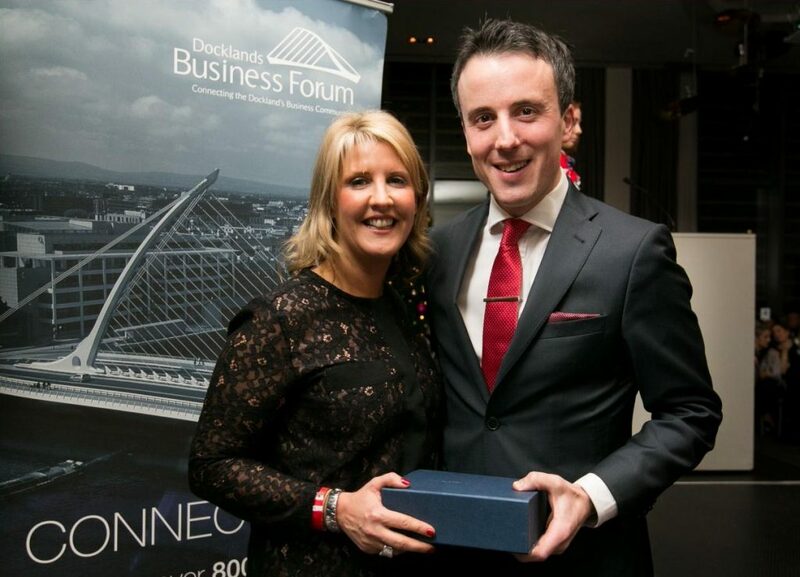 True, additionally, to its ethos of motivating volunteerism generally (Docklands Business Forum depends on volunteers) – the organisers also included a Business Forum Member Award that was won by Sinéad Smith, Corporate Social Responsibilty Manager at legal services firm A&L Goodbody. The winners of the 2016 Docklands Business Awards were as follows.